Ich habe ein neue Iron Hills karte. Es ist ein spiegel karte, ähnlich wie das erste, aber es hat einen kleine-festung. Sie können meine Download-Seite auf T3A ansehen. there's also an english modding-corner here in our forum. Maybe we would understand each other better there. Your german really is... experimental. Yes, I am using Google Translate. The grammar I use is English. Ich benutze Google Translate. Grammatik ist Englisch. I do not want to "Make maps for Edain 4.0". I only showcase. Ich will nicht "Make maps for Edain 4.0". Ich präsentieren nur. Can you move the topic? Please. Können sie das thema zu bewegen? Bitte. That's okay, I'm not recruiting anyways. It was more like a moderating thing. Well, since my topic is now in the English part of Modding Union I am sure I can get more exposure and feedback for my maps, which is what I wanted. Do you handmade all texture mapping or is all rng? The images of the map are already looking quite good and it seems to be execellent work. When I have time to download the map, I will give you more detailed feedback. 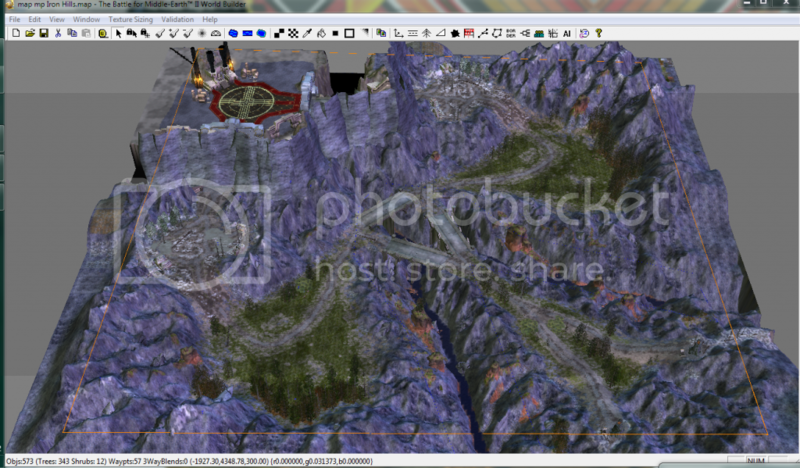 It is a mirror map using the copy/paste feature in Worldbuilder, so I only did about 60% of the terrain and texturing. Here is a view of the entire map in Worldbuilder. More pictures are in my SEE-DC mapping topic. Yea, i was curious to see the whole picture to check pathways, it looks great!! Also the texture tinker is pretty detailed, it blended smoothly with the stony environment. Ill give a try and play it today! Wow, that map looks really good, nice work! I had to time to analyse the map more closely, and this is my feedback. First of all, I really like the map. The Iron Hills theme is easy to recognize and you used it to create an intersting base for your map. All the different regions on the map fit perfectly into the map and all of them look very Iron Hills like. But I'm a bit worried about the passability of the map. 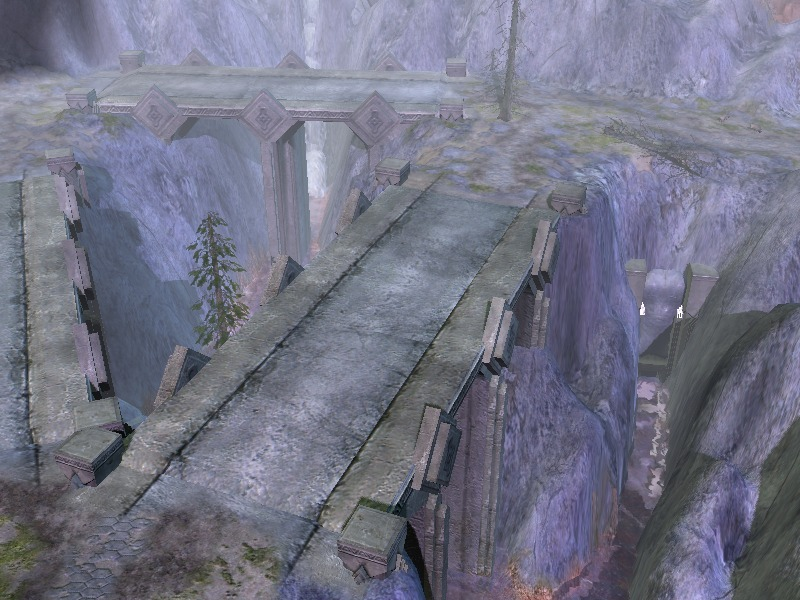 The map looks very narrow and to get to your enemy there are only 2 main roads, both of them are small and long pathes with at least one bridge. So, I'm afraid that the battles will be nothing but trying to get forward on this pathes. But maybe that was exactly your intention. Also, I don't think that 2 signal fires and two outpost are necessary. If you conquer one signal fire, you will likely also conquer the other one. 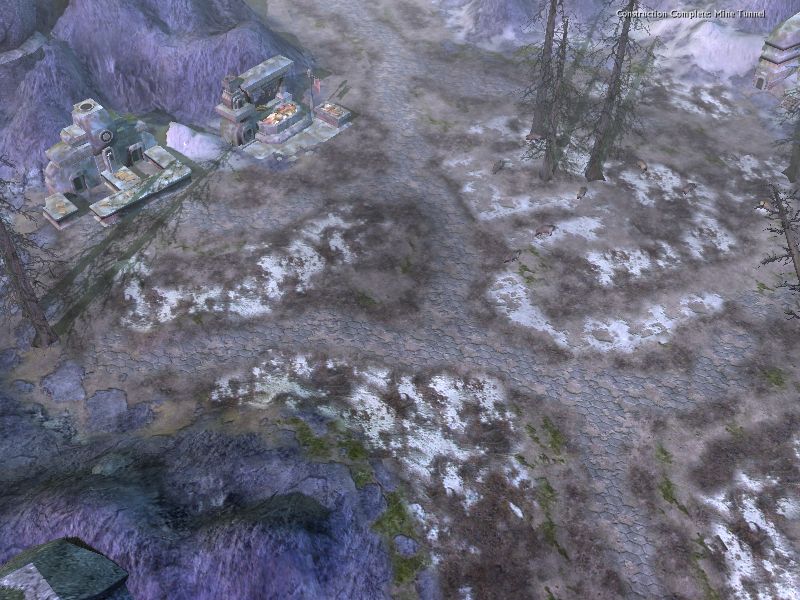 The same with the outposts. I think some variation might be nice. How important are Inns in the SEE? The texturing was made really beautiful, but some little exceptions. The texture of the ramps should be reworked. The red texture looks a bit misplaced. Here, there happended some mistakes concerning the map edges. I know that it is hard to avoid that but I would recommend to reduce the number of these edges. 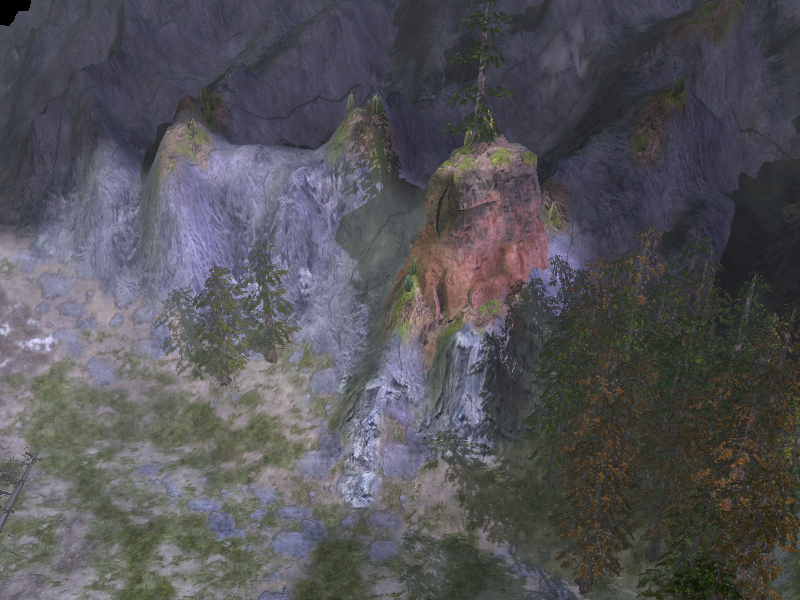 The ground texture inside the mountain is quite boring, some more variation woud be nice. The objects one the map are well placed and also fit into the Iron Hills feeling. Still I'm not completly content with everything. I 'm not confident with these rocks, you placed there. They don't seem to fit there. Your trees are too much grouped in my opinion. Smaller but more groups of trees would be better for the map. Finally, this is my favourite image of the map, the waterfall looks quite amazing. 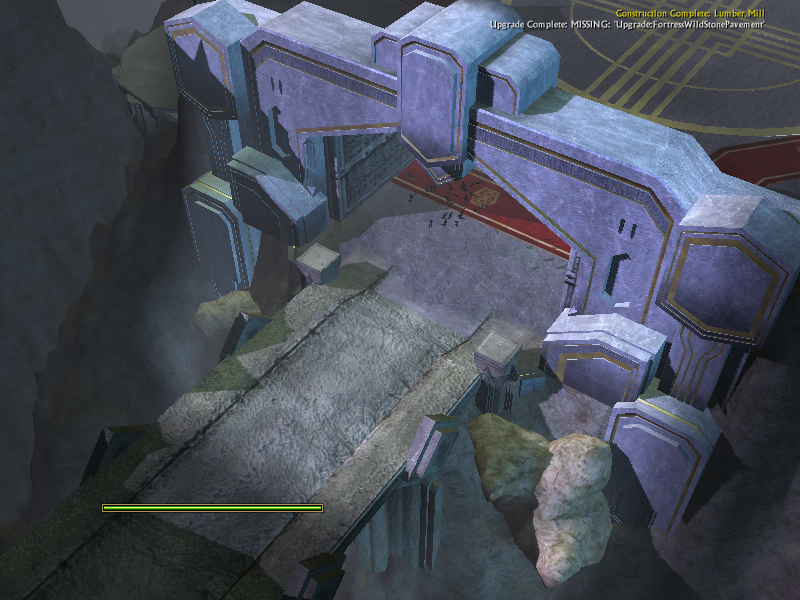 1) The fortress terrain has already been changed and some of the bad blends have been fixed. This version of the map is actually quite old. But thanks for picking that up. 3) I'll work with the suggestions with the trees. They can't be smaller but I can take your other suggestions. Thank you so much, FG15. If more gameplay reviews come in I'll take a look at the pathing and such. I have decided to place a single signal fire on top of the mountain that they are currently in between. More bridges can be added, but there is a significant alternative route - that the AI has taken in a few games that I have played through the mini-fortress.